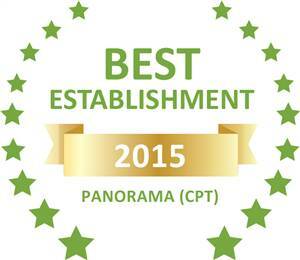 Based on reviews of establishments, Lotz of Joy has been voted Best Establishment in Panorama (CPT) for 2015. Welcome to the website of Lotz of Joy Guest House. Lotz of Joy Guesthouse is a lovely guesthouse on a secure property, in the affluent neighbourhood of Panorama. The guesthouse is well positioned close to the Panorama Medic Clinic, Northlink College – Tygerberg Campus and two Shopping Centres. The guesthouse has seven rooms available, all with en-suite bathrooms, 32″ Flat screen HD TV’s and a bar fridge. Myself and four legendary South African Artists,Min Shaw,Clive Bruce,Lance James and Tommy Dell stayed for two days at the Lotz of Joy Guesthouse in Panorama,Cape Town. We were performing at two concerts in Cape Town on 28 And 29 March 2015 and we needed a quiet place where we can relax and prepare to entertain the crowds. Lotz of Joy guesthouse offered us this and so much more. We were welcomed with a smile and a hug by the guesthouse owner,Heloise Lotz and the guesthouse manager,Clarke Theron.Our rooms were spacious and beautifully decorated. The scrumptious breakfast served in the morning was tasty as well as lunch.On Sunday we were surprised with a Sunday Lunch like grandma use to make it,five star quality.Theresa,the cook,made every effort to keep our tummies full. I can highly recommend the Lotz Of Joy Guesthouse in Panorama,Cape Town to any professional or anyone who wants to enjoy a relaxing stay,while enjoying great food and world class service.Thank you Heloise,Clarke and Theresa.Lotz of Joy is our new home when we perform in Cape Town. We arrived at the airport after a 23 hr journey to be greeted by the Hotel bus and the best smile ever. At the hotel we received fresh juice and snacks as we were shown to our rooms. The whole feel of the place was that of friendship and happiness, Really a place of joy. Clarke the manager showed us the facilities and made sure we were all checked in, tv in the rooms although we never used them. far to much to do. Cathy and Theresa were always available to have the breakfast to our request and they even did the laundry. Great routes out of and into the city. Fabulous city. all in all cant wait to get back. I thoroughly recommend Lotz of Joy as the staff are very caring and supportive of their guests and they definitely go beyond the call of duty to ensure a pleasant stay. The facilities are clean and welcoming and there is secure parking. It is also located within walking distance to Panorama Mediclinic and in reasonable distance to shops and other amenities. An educational trip to SA, with students from Stockport UK staying at Lotz of Joy, from airport pick up to departure a week later, the staff could not do enough for us from remembering our breakfast orders, laundry and daily immaculately made rooms. Always a friendly smile from Teresa on return from a long day sight seeing, or drop off by mini bus by Clarke, nothing was too much effort. A most enjoyable stay from a memorable visit to Capetown, cannot thank Helouise and her team enough.